Word got out that her 17-month old marriage to hubby and philanthropist Oladunni Churchill is in trouble. There were reports online today that there was allegedly another woman in the mix...but many didn't take the report seriously until Tonto removed her husband’s name, Churchill from her IG handle, fueling speculations that their marriage is indeed is in crisis. LIB reached out to one of Churchill's aide who spoke to us on the condition of anonymity saying, 'haba, there's no issues at all, why do people like making issues out of nothing. The fact that she changed her name on social media does not imply crisis, what if it's for a business purpose'. 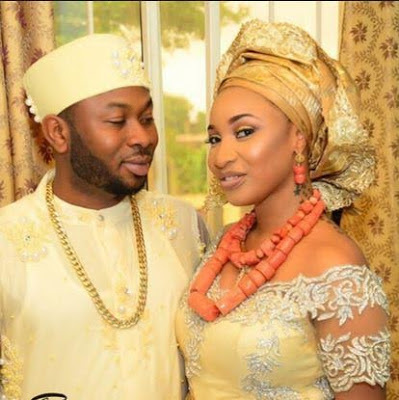 However, another source in Tonto Dikeh's camp told LIB that, 'they had a small issue but honestly it's nothing am sure they are fine'. A week ago, the actress shared a cryptic post on Instagram which partly reads, 'If that guy doesn't call you for two weeks, he doesn't like you as much as you like him. If that important meeting keeps on getting rescheduled, it means it is not that important to the other party. Remember your happiness starts with you. Not with your relationship. Not with your friends. Not with your job. But with you. Things outside of you won't fix problems on the inside. Love yourself properly and people will love you'. At the moment, It's still a developing story as there's no official statement from the couple.